zCover covers and cases are designed to provide constant protection and provide the most surface coverage for the most popular high-end electronic devices. zCover protective silicone products provide over 90% protection. 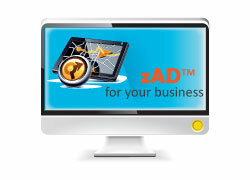 zAD® is a great vehicle for your marketing message. Display your logo or other message for consumers to see every time they use their electronic devices. Business entities, educational institutions, artists, and organizations can order zCover products with your logos, web site addresses, or business messages. Whatever your company's objective, be it is generating publicity, creating new merchandising opportunities, or broadcasting your message to the world, zCover’s zPRINT™, zTATTOO™, and zAPPS™ media vehicle is your ideal solution. Parallel to advanced molding and industrial know-how technology, zCover has advanced silicone printing technology. 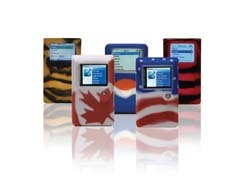 We provide multicolor, multi-layer, silicone printing on all zCover product lines. We guarantee the most accurate effects. 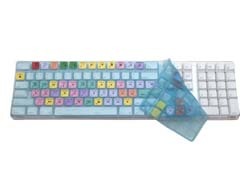 With advanced industrial know-how technology, zCover provides multicolor, silicone patterns on all zCover product lines. Some limitation may apply. Create and transmit business massage, seasonal greeting of your business with matching screen saver, background color or pattern associate with the hardware and accessories from us.